16 oz. Red Metallic Travel Mug - Ithaca Gun Co.
(16 oz.) 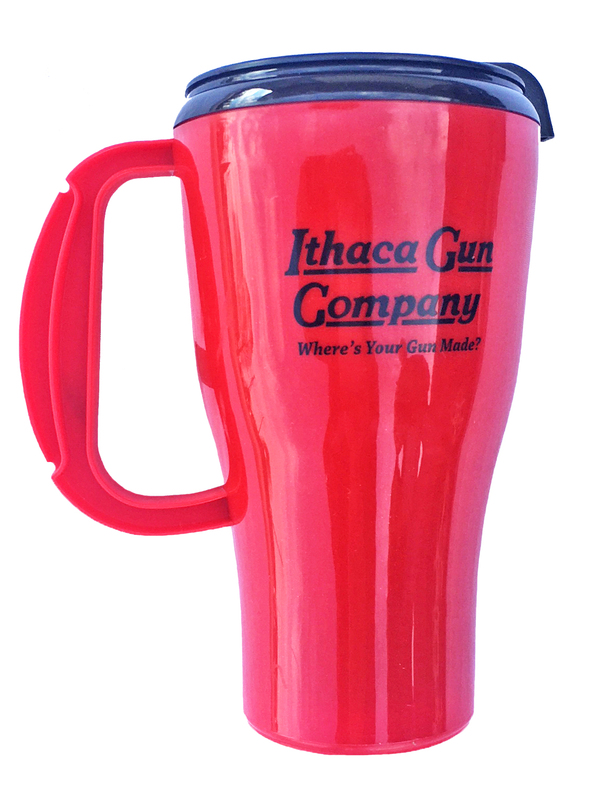 Metallic Red Travel Mug with Ithaca Gun Logo & tagline “Where’s your gun made”. Made of double wall plastic, high gloss finish, spill resistant.